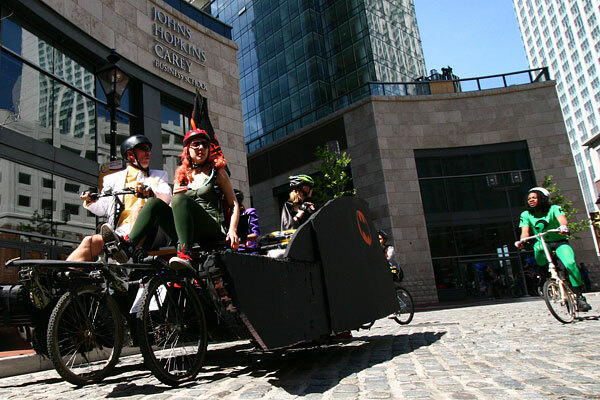 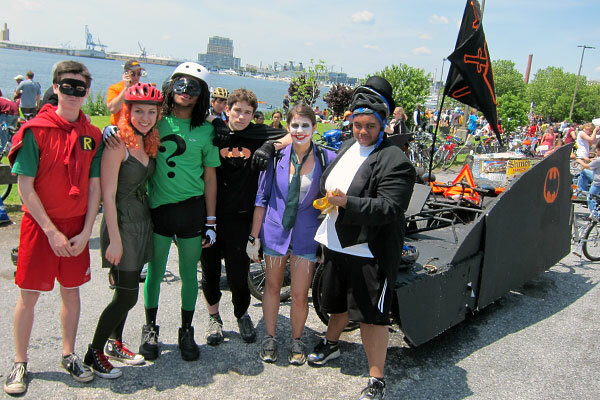 The Dark Knights of Baltimore City College High School brought the Batmobile, complete with Batman, Robin, Poison Ivy, the Riddler, Joker, and Penguin, and a guy in a white suit and yellow shirt. 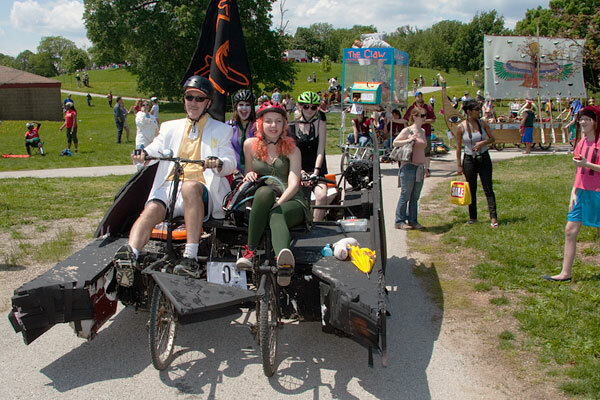 This sculpture featured solid engineering from this new group of young racers. 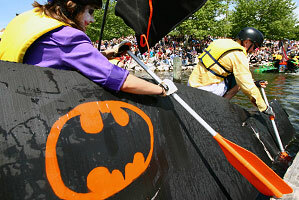 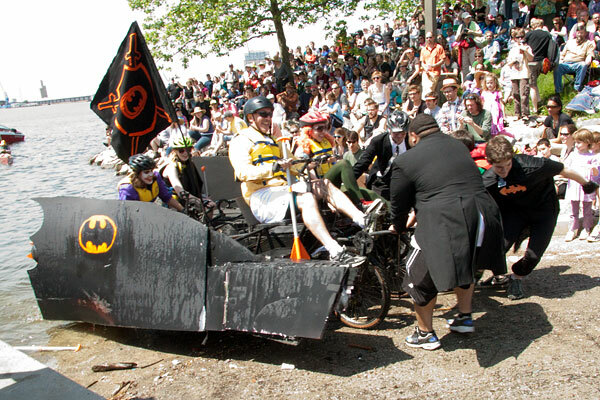 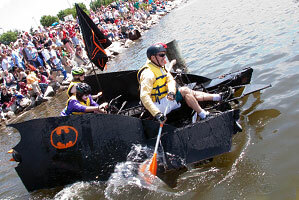 The Batmobile proved itself amphibious at the Canton Waterfront, indicating that they had likely tested it before the race.